Last year was a banner year for cyber attacks. Even cyber criminals with few resources were able to take down banking and healthcare systems, and extort large ransoms. 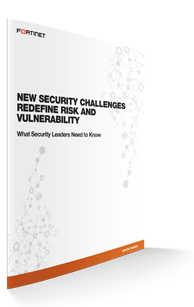 Read this white paper to learn more about how an immature security posture, having lack of control over IoT, and little consolidation of systems have left the infrastructure vulnerable and exposed the enterprise to more risks.